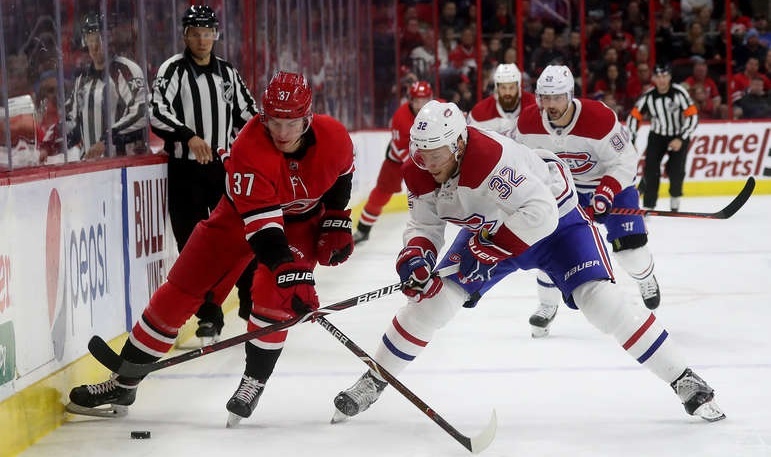 As the Habs surpassed the midway point of the season, they remained right in the thick of the postseason race in large part due to some strong play between the pipes and on the back end. 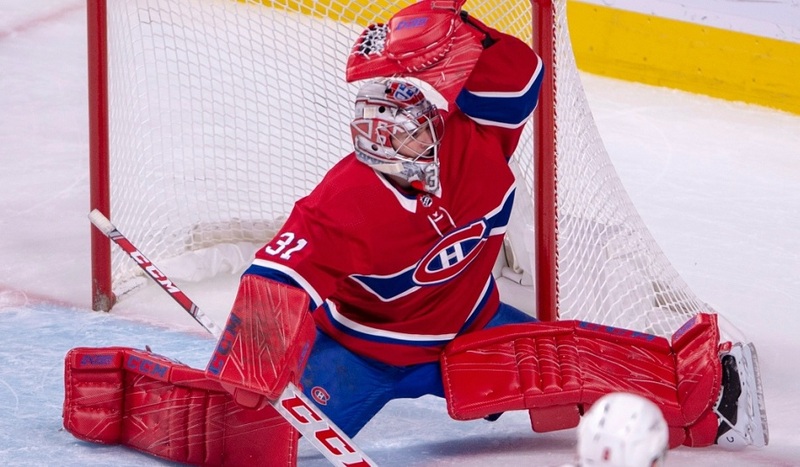 Our grades wrap up with a look at Montreal’s goalies and defencemen. Players must have played in 5/20 games to receive a grade. Carey Price – B: There were some rough moments from this quarter but Price certainly got better as it went on (a return to the lineup of a certain defenceman certainly helped as well). They’re going to need him at his best down the stretch and if he can keep up his current level of play, the Habs should be in decent shape. Antti Niemi – C: There were some good games in this stretch but there were some truly woeful ones as well. It can’t be a coin flip between a decent start and a disaster from a backup goalie, not if you’re trying to win. Fortunately for Montreal, Niemi has been sharp his last few outings but those will be factored into the third quarter grades, not here. Shea Weber – A-: It’s no coincidence that Montreal has played better defensively and the goalies have played better since Weber returned. Weber shifts everyone else into roles they’re better suited for and his licence to cross-check without getting called for it too often helps clear the crease. He also has been productive offensively although I’ll acknowledge it’s disappointing that his presence hasn’t moved the needle on the power play. Jeff Petry – B+: Yes, he slowed down in terms of his offensive production but him playing at a 66-point pace wasn’t going to be realistically sustainable. Petry was showing some signs of fatigue before Weber came back as playing 25+ minutes a night is something he can’t do forever. That said, all things considered, he did a very good job in that role in Weber’s absence. Brett Kulak – B: He has turned into a nice little addition, hasn’t he? Kulak went from being Laval’s undisputed top defenceman to a third pairing regular to someone who spent time on the top pairing with Weber and all of that happened in a pretty short stretch. He’s surprisingly aggressive offensively (thanks to his time with Laval) and he’s decent in his own end as well. He’s earned himself a regular spot in the lineup. Jordie Benn – B: I think the best way of describing this stretch of games is ‘Bon Benn, Bad Benn’. In a limited role, he fared quite well (and his recent hot streak offensively came started near the end of the quarter). However, when asked to play in the top-four, things weren’t so pretty. At this point, Claude Julien should have seen enough to know that Benn can’t be counted on to move up when injuries strike but as a third-pairing player, he’s a nice asset. 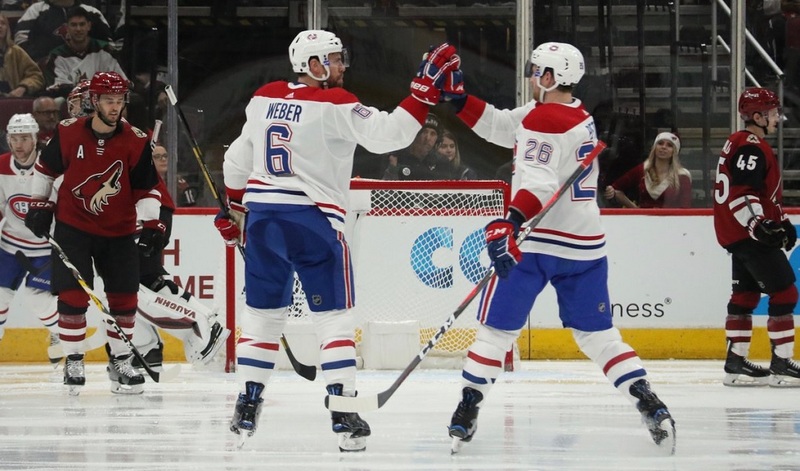 Victor Mete – B-: His demotion to the minors was well-earned. Mete was down to the third pairing and was having less and less of an impact. However, when he came back, he was much more assertive and confident, allowing him to work his way back onto the top pairing with Weber. A bit of an uneven stretch overall but with young players, that’s not too surprising. David Schlemko – C: I’ll admit, I don’t think his performance has been as bad as it has been made out to be. Yes, he’s a fringe player but too often he was shifting pairings, sides, and roles to really get into any sort of groove. (And then he was injured again.) Even though he cleared waivers, I don’t think we’ve seen the last of him with Montreal this season. Mike Reilly – C-: Early on in the season, Reilly looked like he could be a part of Montreal’s future. However, that quickly dissipated and he has since become the filler player that he was with Minnesota. He is making some tough mistakes defensively and he isn’t making up for it with good plays at the other end either. I would not be shocked if he’s presently available in trade discussions.